With my first child, the only way I could cope with the lack of sleep and needing to feed him many times at night was to co-sleep. This worked great for us, and I was stubbornly against sleep training. 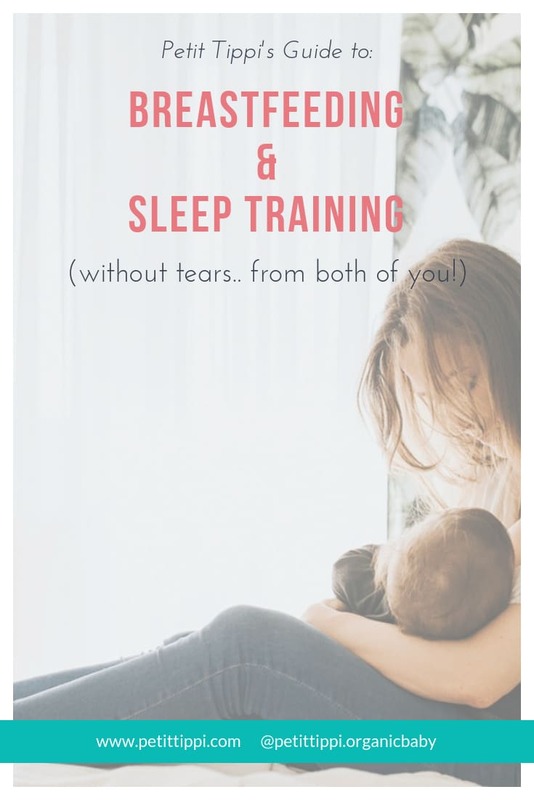 The way people described sleep training and letting your baby “cry-it-out” to some extent or another was just cruel (no offense to anyone, I’m entitled to my opinion!). Fast forward to a few months into my second pregnancy, I read a review in a FB mom group about a sleep trainer who miraculously managed to do it without letting the baby cry. Now I was intrigued. I asked if we could have a chat about sleep training before my dear daughter was even born (yes, I realize how crazy that sounds) and she told me that as part of her sleep training, she would brief me about breastfeeding. Huh, interesting. I know breastfeeding, my son was exclusively breastfed for 14 months (sometimes he had expressed breast milk from a bottle...and i mean, SOME of the time - but that’s another story for another time!). But, go ahead lady, gimme what you got. A week or two before my due date, I went in for our appointment and she explained to me what I needed to do day-by-day in the hospital and said that she would come check on me when I was discharged and went home (I had an emergency-C). I followed her instructions on how to breastfeed, how to do the nappy changes at night, how to put her to sleep, the hours of the night when a baby normally transitions through sleep cycles, and how to soothe her. I fed my baby on demand around the clock. One night when my daughter was 5 weeks old she slept for 6 hours straight! The sleep trainer then said, right, she did it once on her own, that means she can do it again - let’s show her how! From 7 weeks old my angel slept from 8pm-5am! Of course, we messed it up with jet lag when we went to Canada on holiday, just before mommy had to go back to work, so we called the sleep trainer in and she stayed over for 2 nights during which time she trained her to sleep with arms out of her sleeping bag, and I swear, I did not hear a peep from her room all night! Since then it has been happily ever after as far as sleep goes, and she is still exclusively breastfed (aka EBF) at 11mo! So, the moral of the story is, some babies are good sleepers and if you happen to be blessed with one, you can have a successful breastfeeding relationship that is full of restful nights, but it takes a little bit of work and understanding of what makes your baby happy.